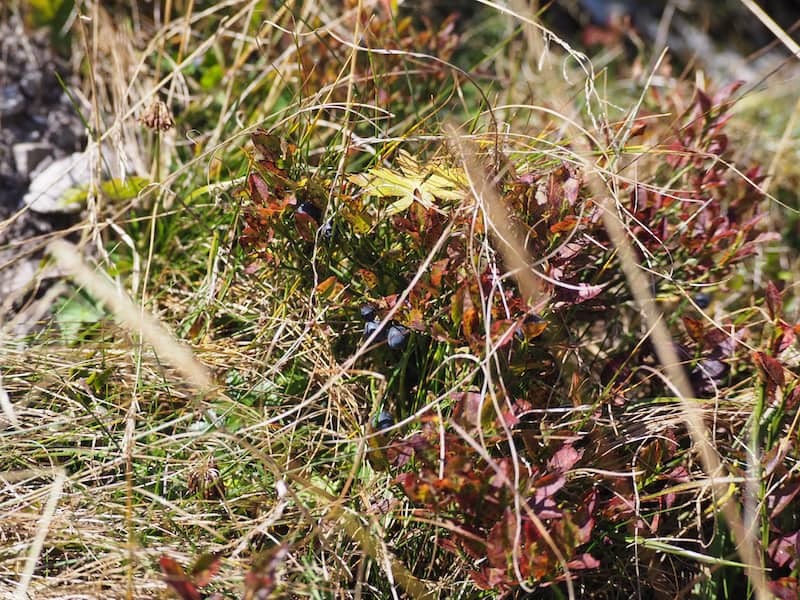 “And then, when each and everyone in my group realises the untamed power of the Alpine plants, this ‘medicine’ around us, I thank God for my gift and smile …”, says Christine Sperner, who is our hiking guide for the day and a sort of plant whisperer, too. 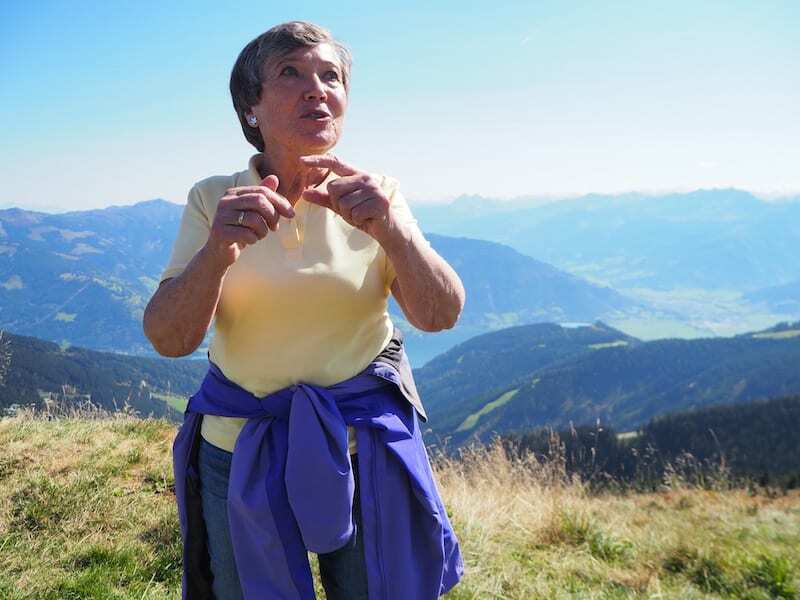 You could also call her the translator of all the “green secrets” that the Panoramaweg trail offers from Schmittenhöhe to the Sonnkogelalm high above Zell am See. 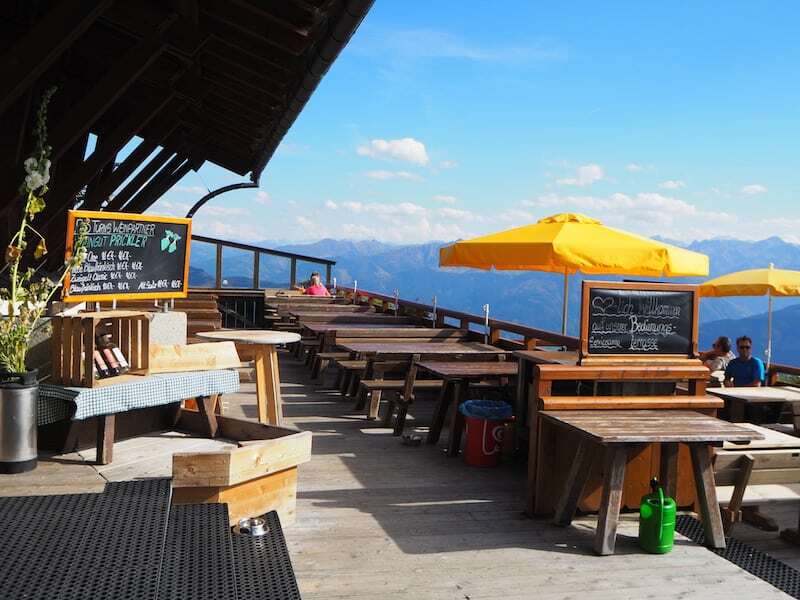 Here, you have the best view of over 30 three-thousand-metre peaks in the Central Alps. Awesome. 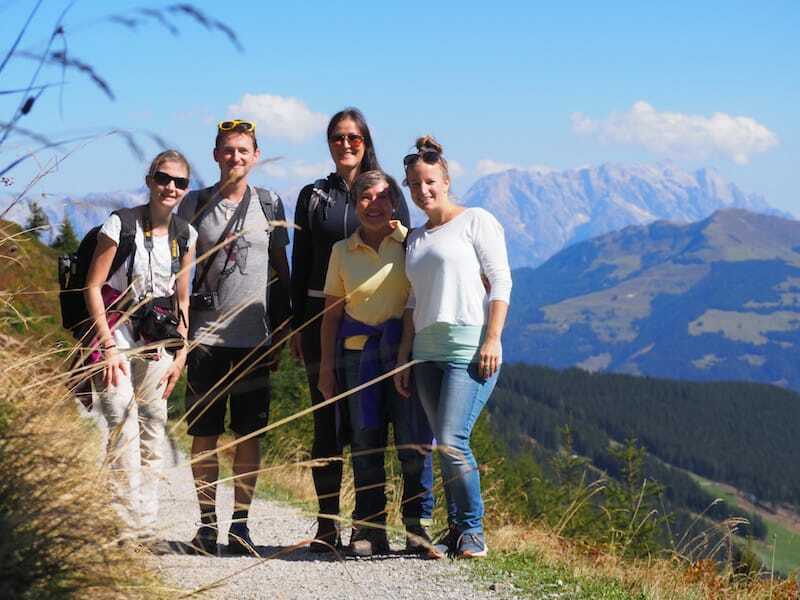 We got so lucky to see them all: On a single hiking day at the end of September, I think I have never experienced such an incredible mountain panorama. And Christine’s soft voice in our ear when she speaks of her beloved protégés along the way: yarrow, lady’s mantle, nettle, blackberry, bellflower. And many, many more. 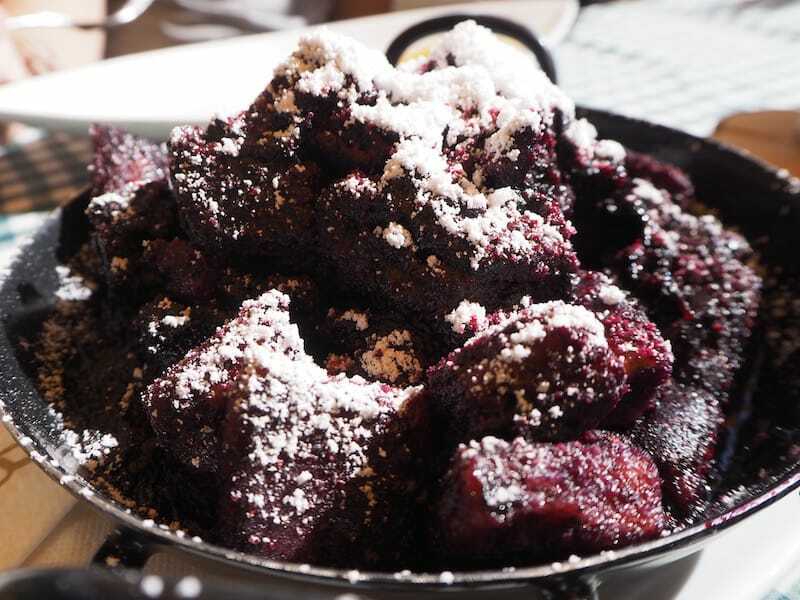 … something we’ve enjoyed right here at the Sonnkogelalm mountain restaurant. 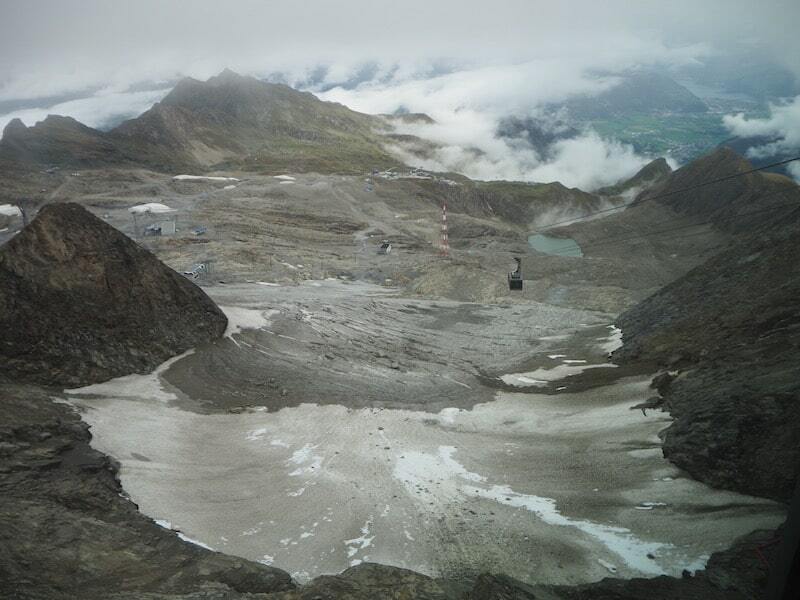 Afterwards, you may take the chair lift down into the valley, or choose the hiking trail instead. 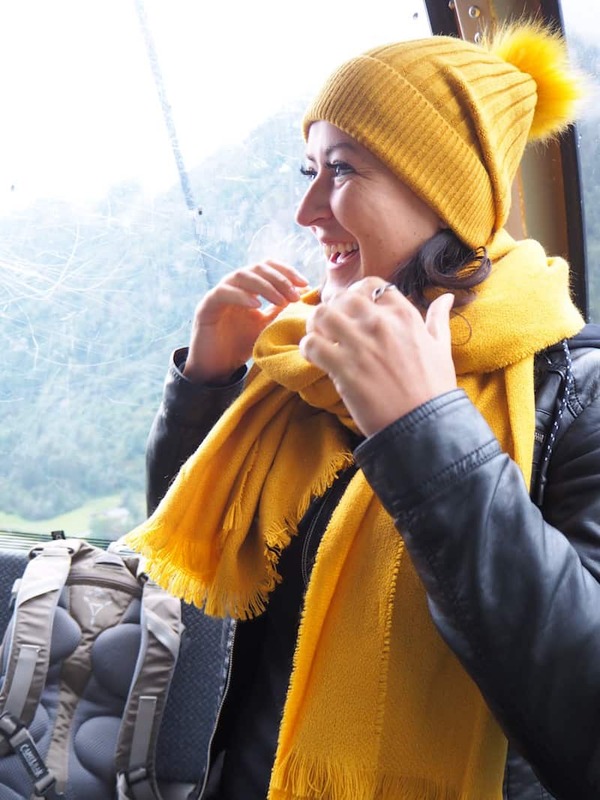 … the beauty of the surrounding region becomes particularly clear, almost kitschy. 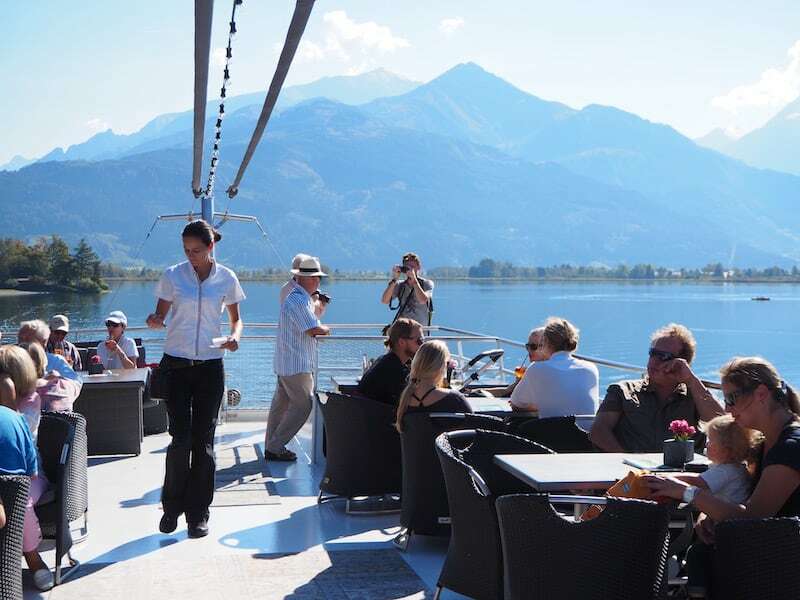 Use the panorama boat’s “Rooftop Bar” for the 360° views: The surrounding mountain panorama is breathtakingly beautiful. 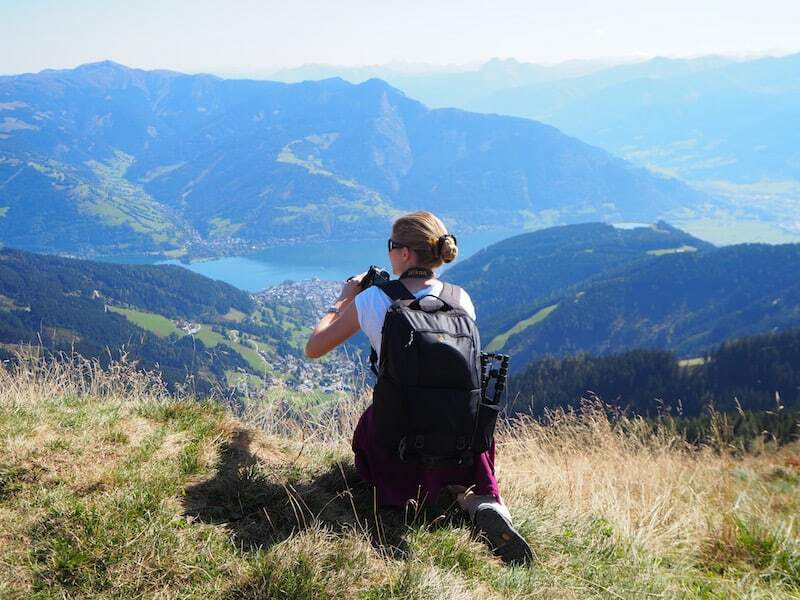 “Up there,” says Anna Zembacher from the local Zell am See Tourist Board, “we can go for a walk along the panorama trail a little higher above the city.” Fantastic. I don’t know what was more beautiful: the boat trip, the hike over the city or the evening lake magic? 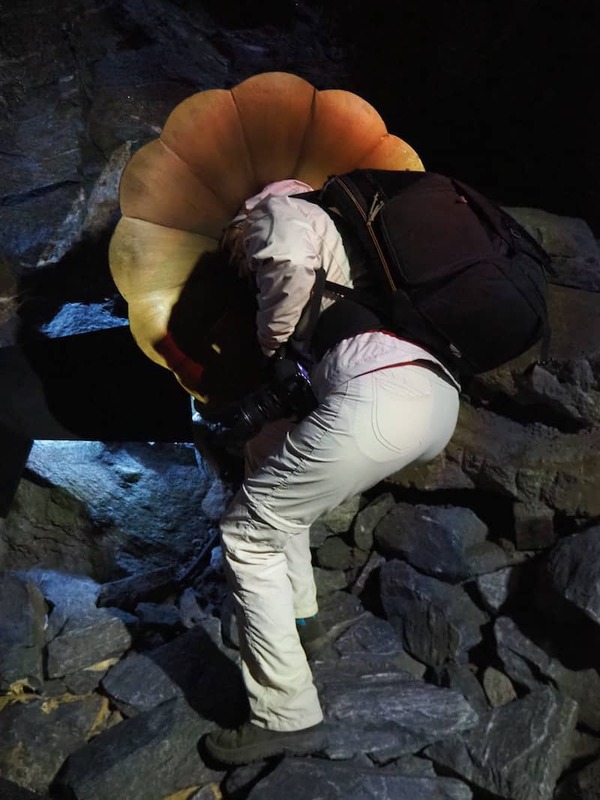 Could you perhaps tell me if you see the following pictures? 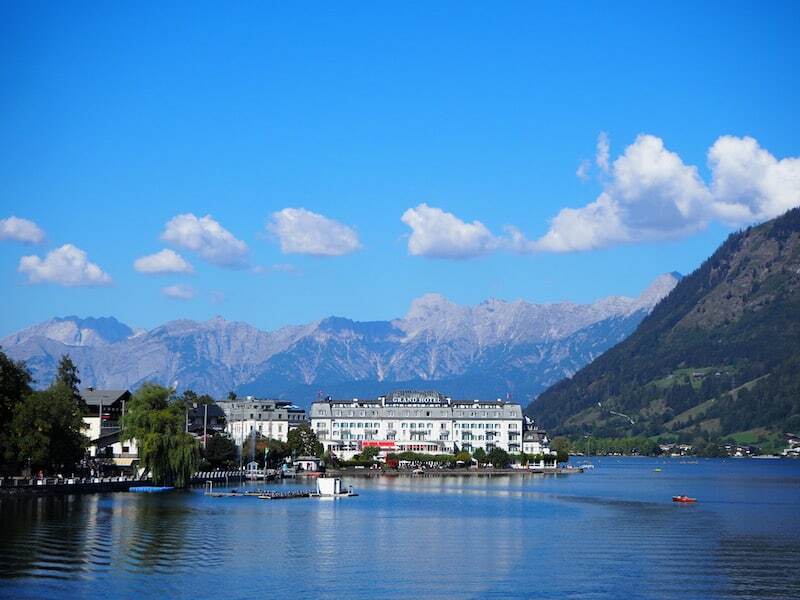 … and what a view back over the small town of Zell am See. The historic Grand Hotel sits there rather majestically against the backdrop of the mountain range to the North. 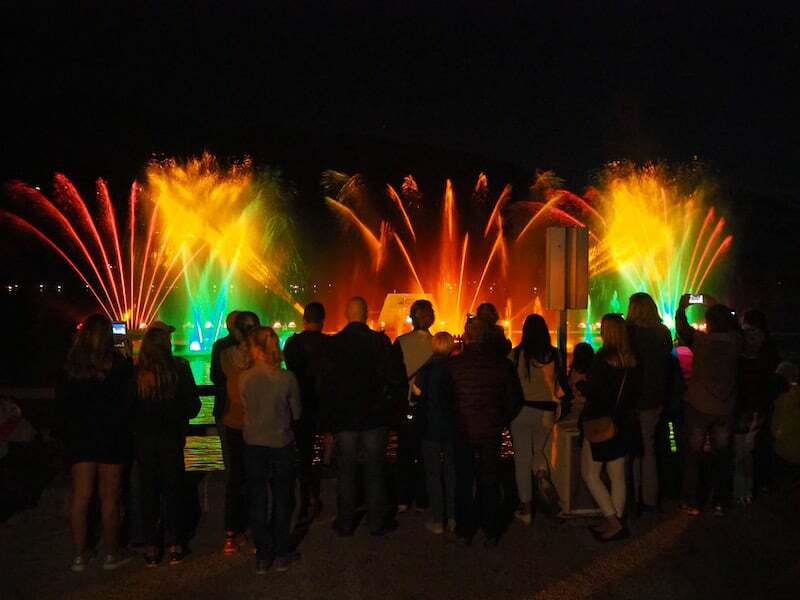 … and do not forget heading down to the lake once more at night, when the “SeeZauber” (lake magic) sets the lake alive. 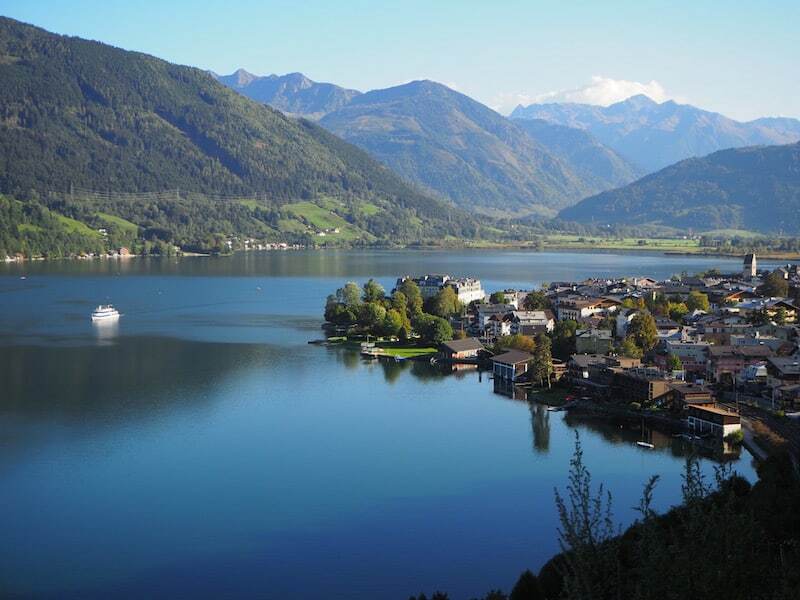 The beauty of the region also continues beneath the surface: In numerous efforts towards sustainability in transport, mountain railways, and energy management in the entire Zell am See-Kaprun region. 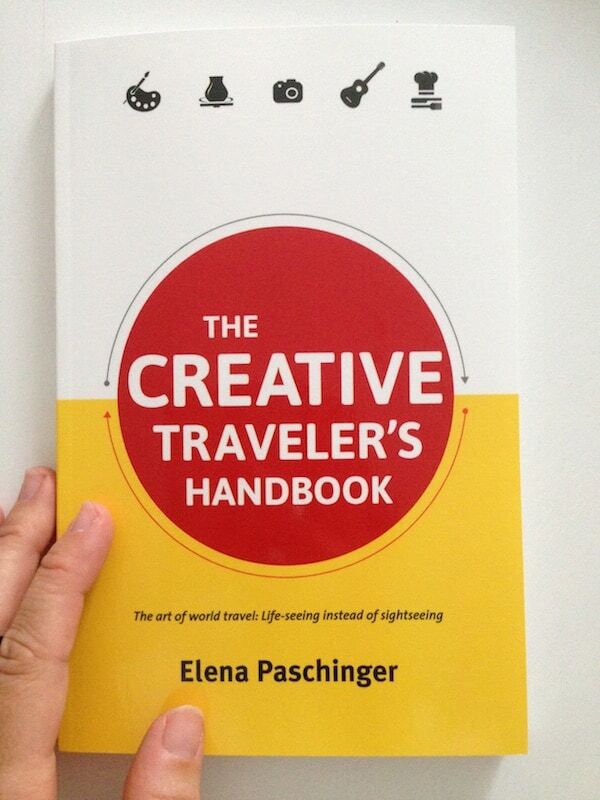 But how to understand all this complex and often technical information, when like us you’re only here for a few days? We decided to ask the locals. 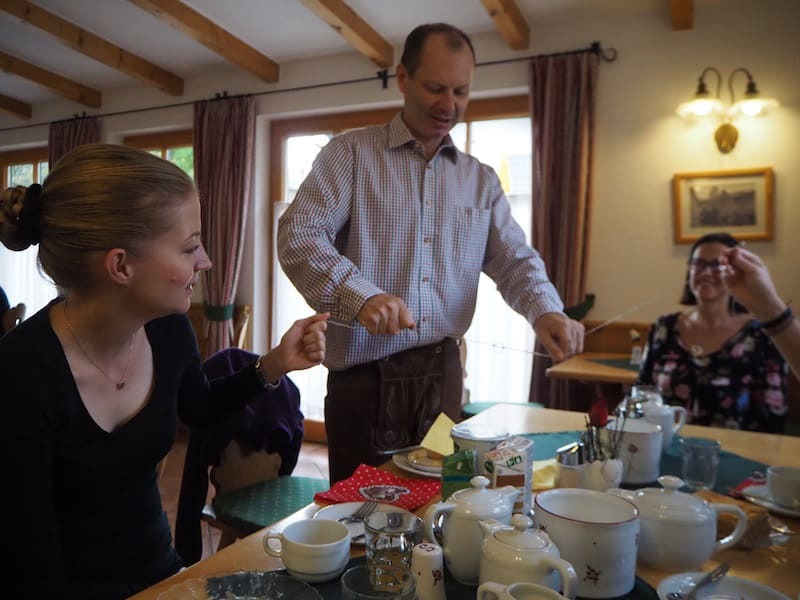 These include, for example, Beate and Bernd Mondré, my hosts at Pension Hubertus. 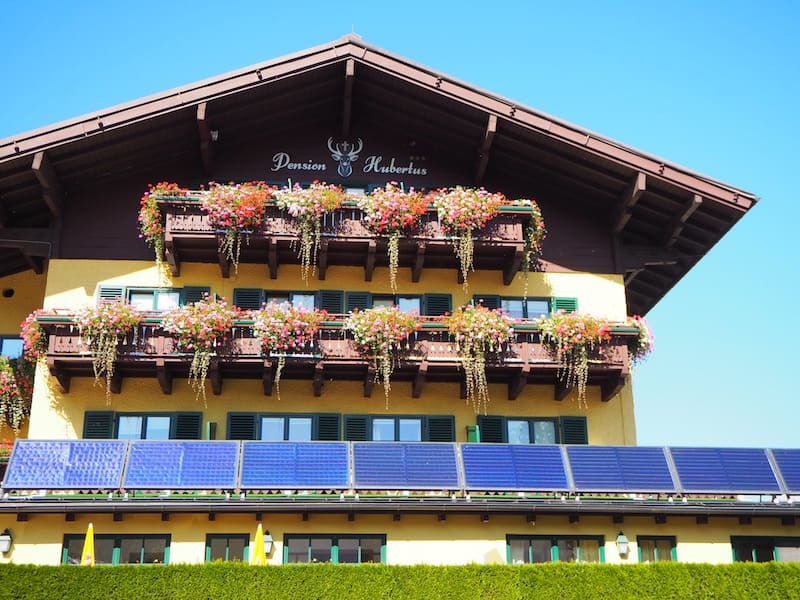 Since 2006, they are proud to have been awarded the Austrian Eco-label for their sustainability efforts in all areas: Solar heating, an electric gas station for e-cars and the use of organic products for breakfast, cleaning etc. 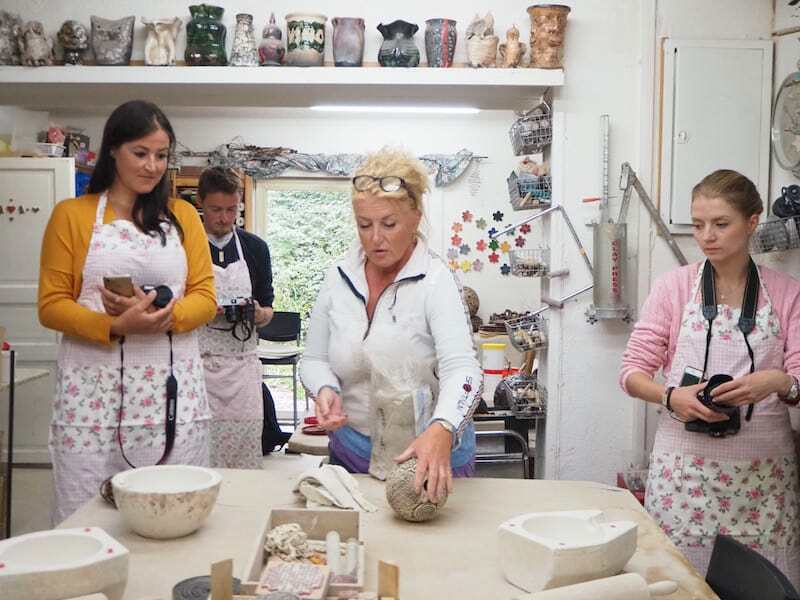 add a number of further charismatic qualities to their personal charm as hosts. 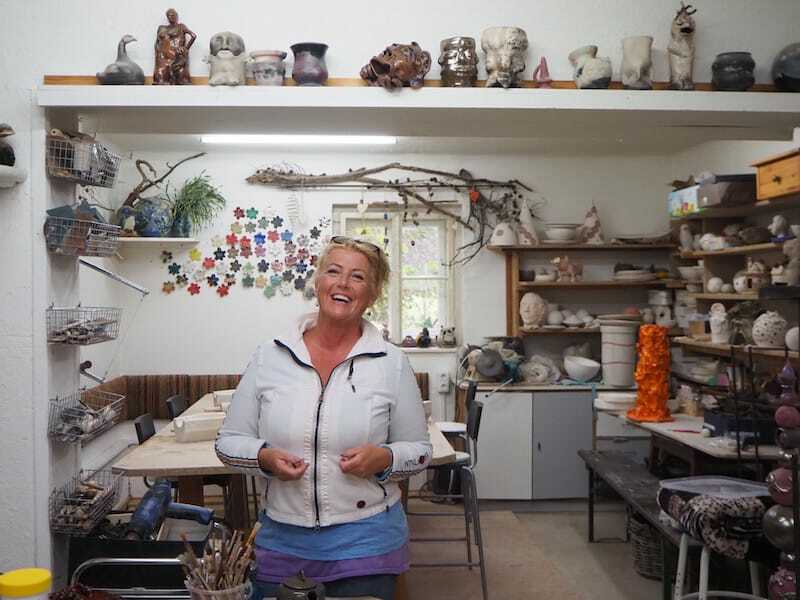 … thank you so much for your efforts in hosting us and sharing your environmental visions with us, dear Beate, dear Bernd! 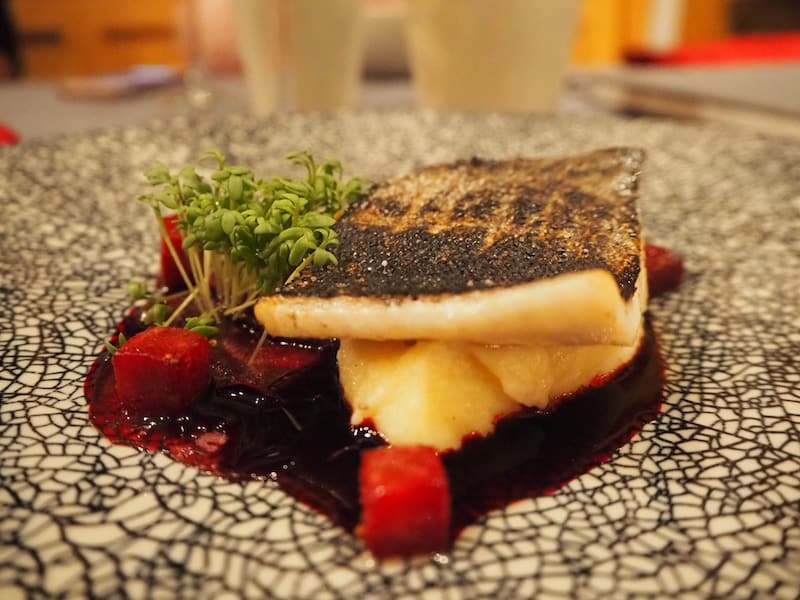 … they really serve great local food! 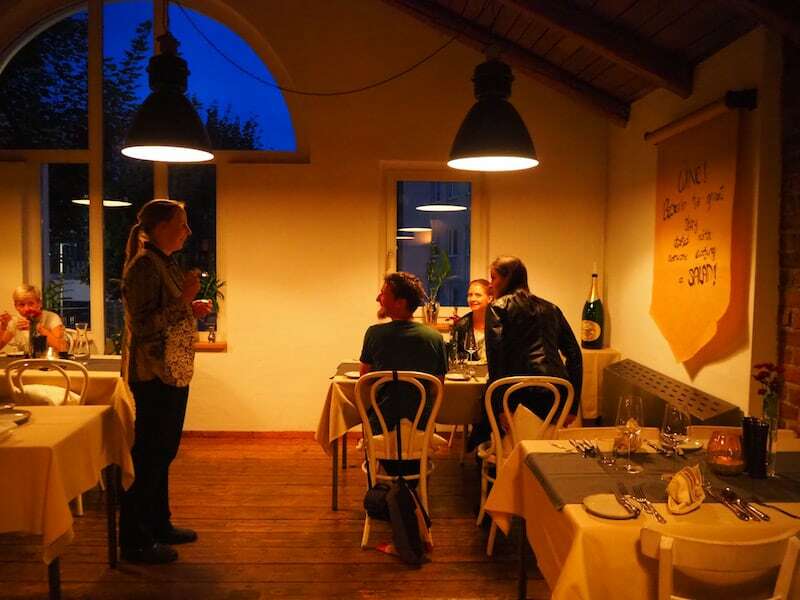 Do not miss booking your table in advance, as seats fill up quickly. 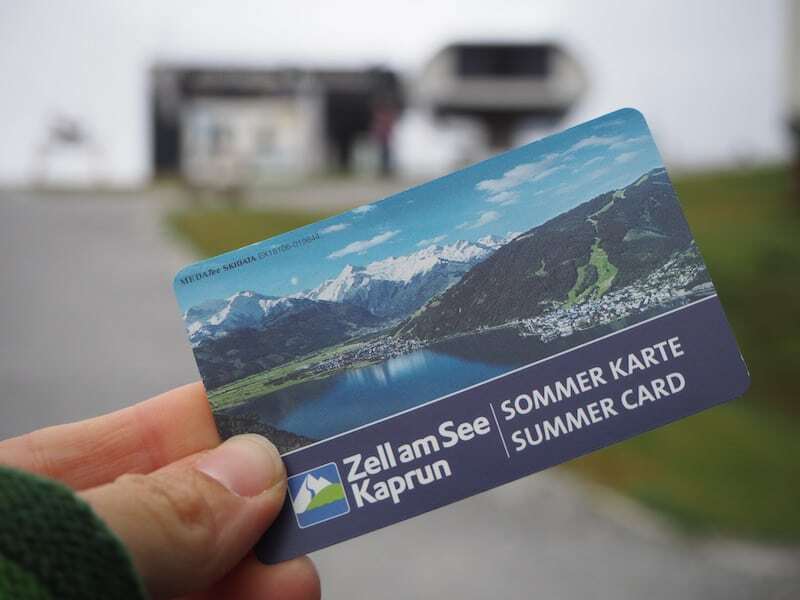 A trip to Kitzsteinhorn mountain can also be sustainable around here: We leave our car behind and take the (hiking) bus, which comes at only € 1,- with the local Zell am See-Kaprun Card. 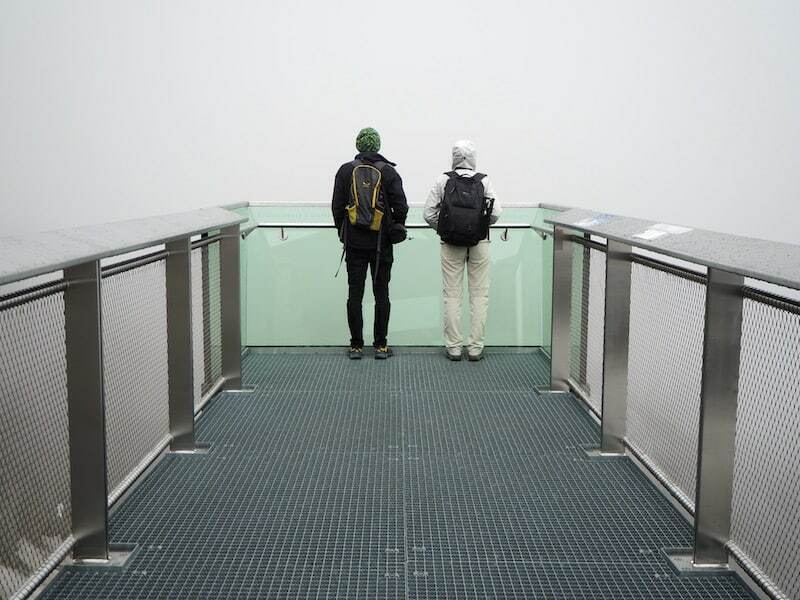 … even see Austria’s highest peak, the Großglockner mountain, from this viewing platform on a clear day (not that day). 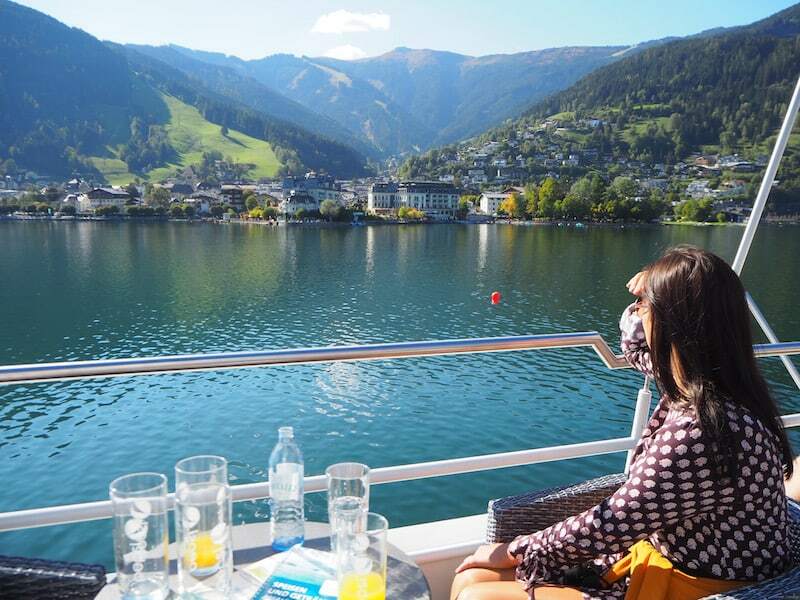 Last but not least, Zell am See is also home to a creative holiday. 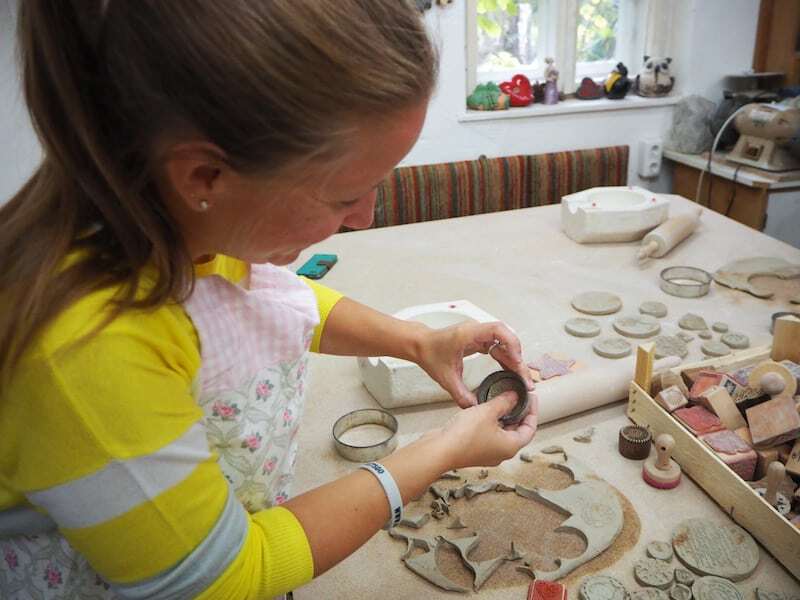 In Martha’s Waldwerkstatt, you can make pottery to your heart’s content and have your homemade souvenirs sent home to you. Martha Zillner is a woman you should meet while in Zell am See. 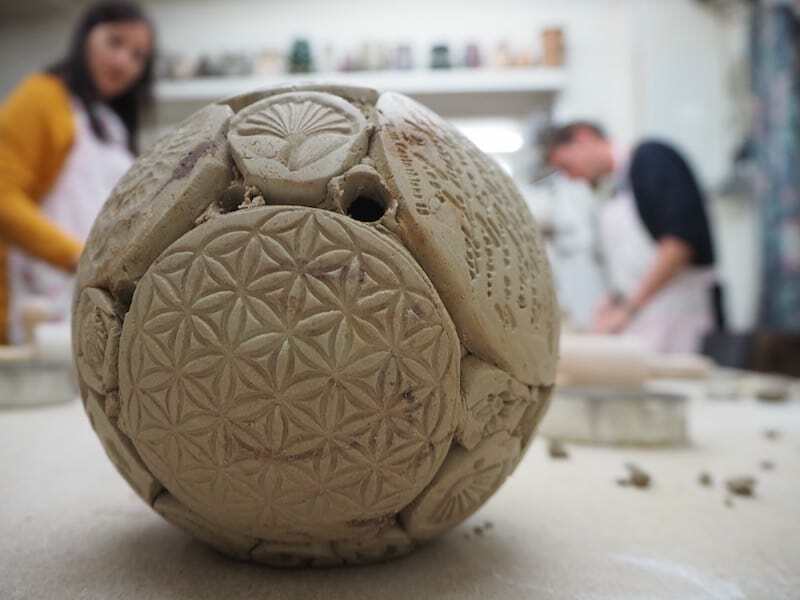 Just like charming herbalist Christine Sperner or our host Beate Mondré, she is alive with the passion of being able to share her pottery knowledge in creative courses for ceramic fans. Fun! 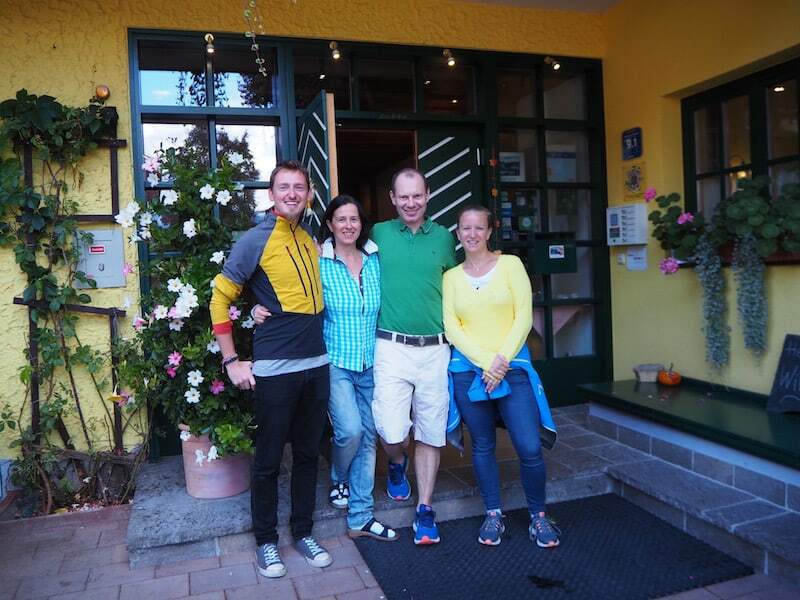 From Landhotel Martha and their restaurant “Flo’s Gastwirtschaft” (Martha’s son Florian cooks at a very high level!) 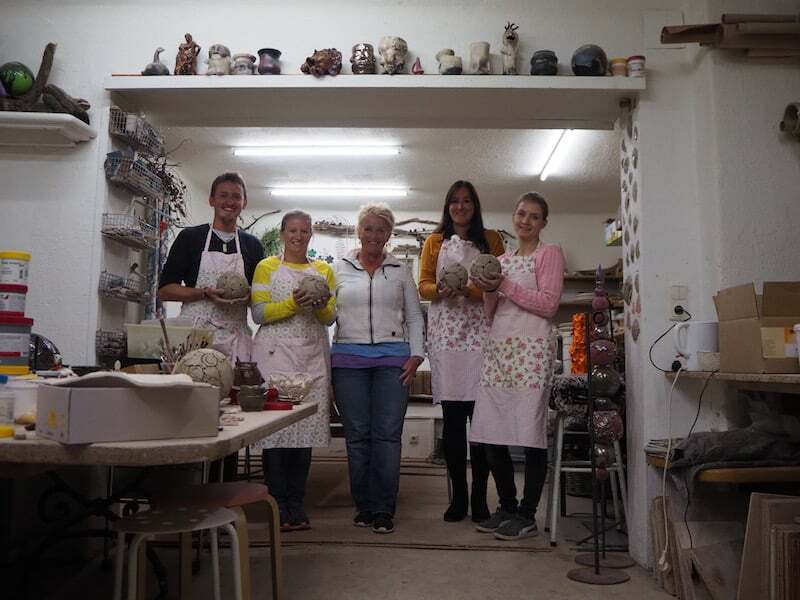 it’s only a stone’s throw to the Waldwerkstatt for the pottery course. 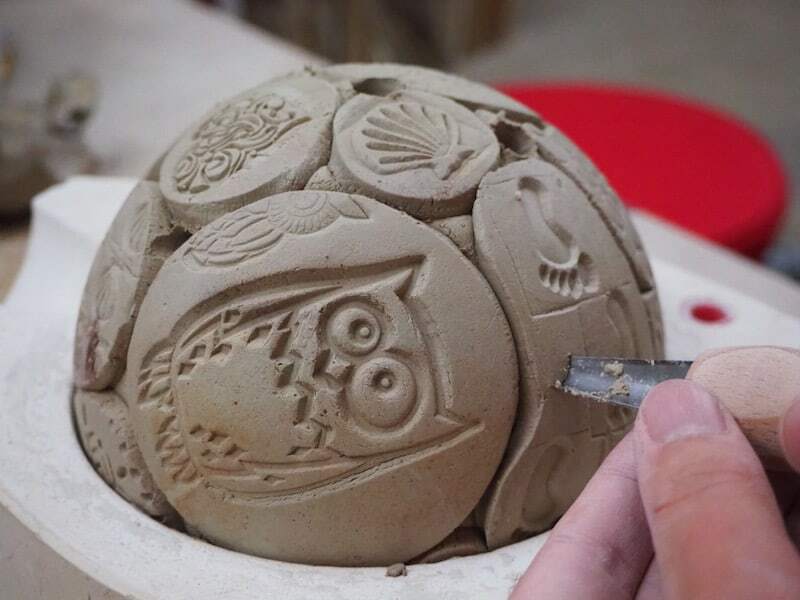 Thank you Martha: What we have produced in less than three hours, without any previous knowledge or preparations, is really wonderful! 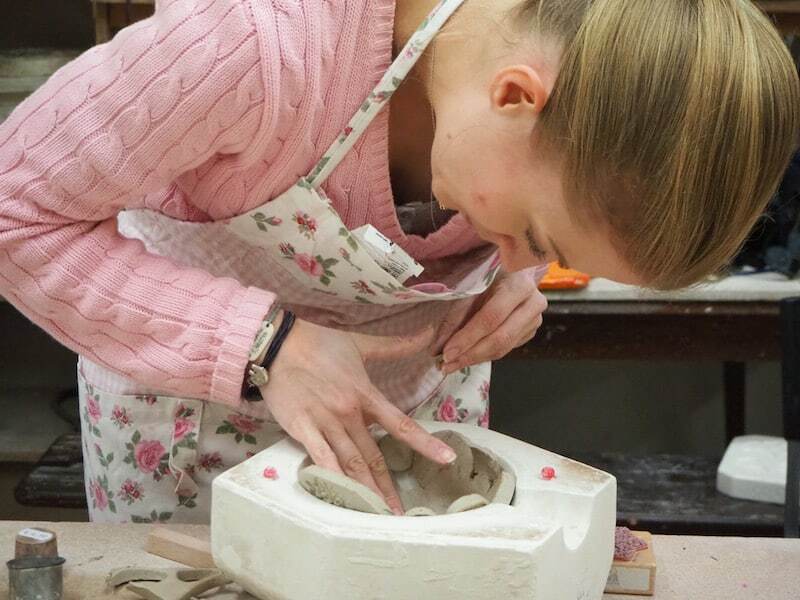 … which will see a candle inside for decorative purposes on those long winter nights! I guess we are all looking forward to seeing the finished (burned) results! Thank you so much, dear Martha! 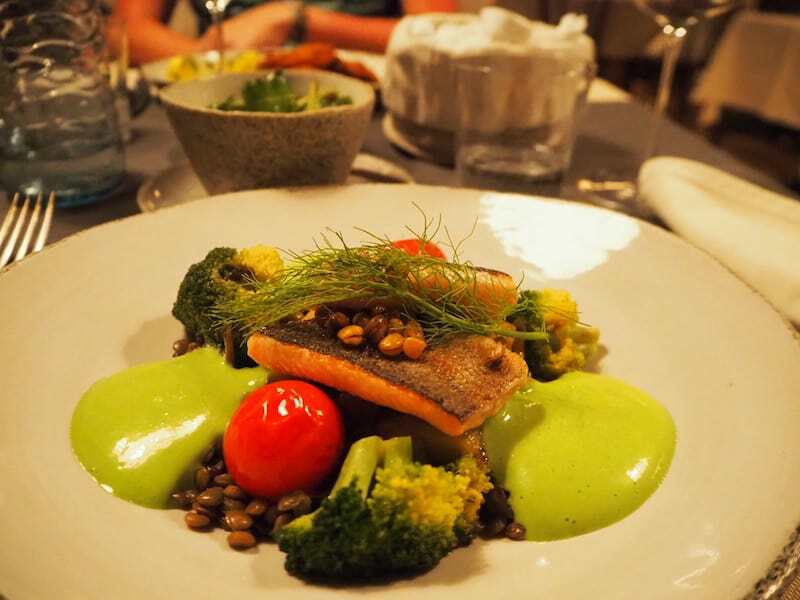 Do not miss dinner at “Flo’s Gastwirtschaft” after: It’s a wonderful culinary experience to eat here, I can guarantee you that! 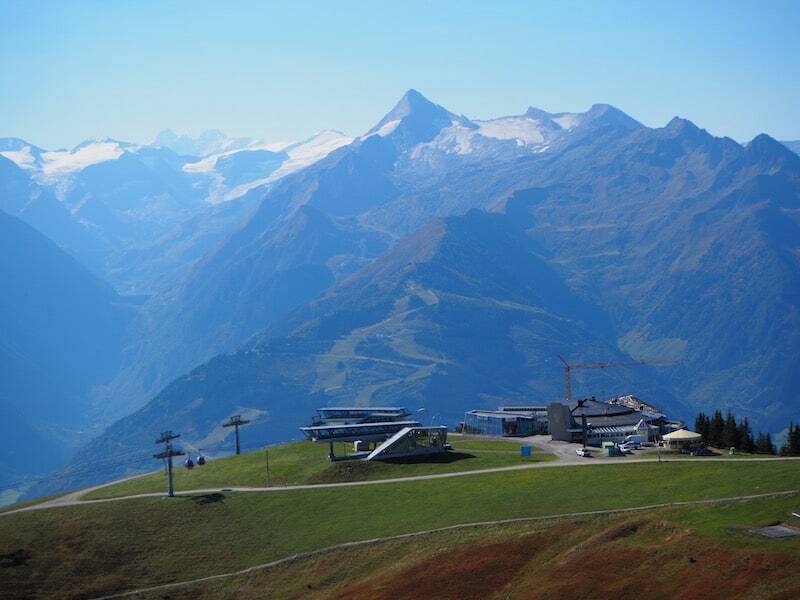 Disclaimer: We have been invited by the Austrian Eco Label together with the Tourism Destination Zell am See Kaprun. All opinions are my own. 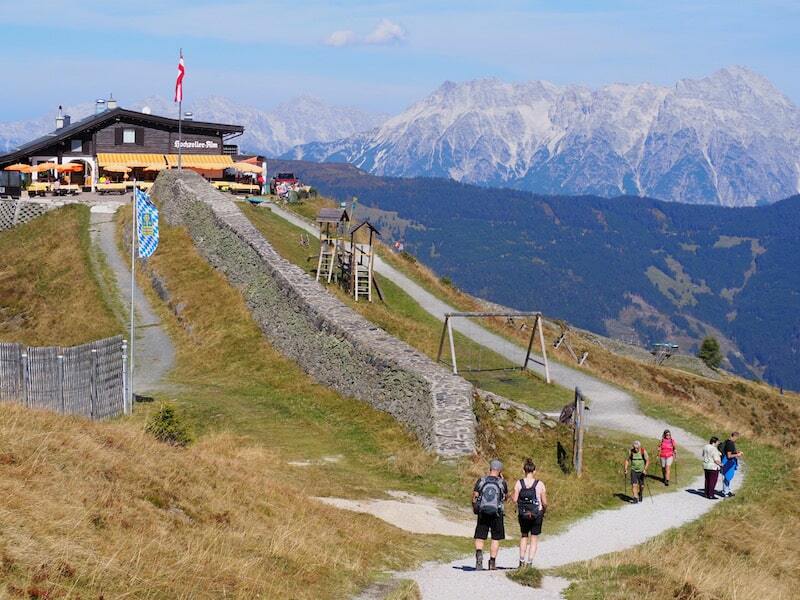 Romantic Road Part III : Schongau, Schwangau & the Castle Route to Füssen. First Nation Travel in Canada: Arriving in Wendake, Québec and staying at the must-See "Hôtel Musée Premières Nations".